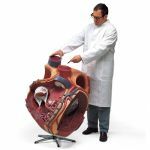 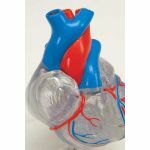 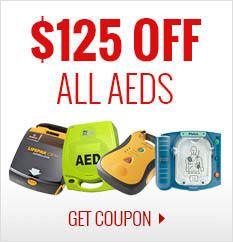 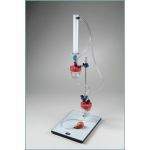 This 2-times life-size heart is a great help for teaching heart anatomy, even in large lecture halls or classrooms. 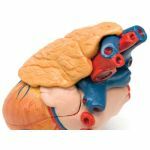 The front heart wall can be removed to view the inner chambers of the human heart. 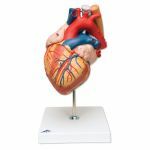 In addition to the anatomy of the heart, this heart model shows a venal bypass to the ramus posterolateralis of the right coronary artery, to the ramus interventricularis ant. 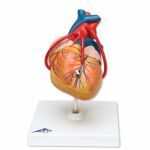 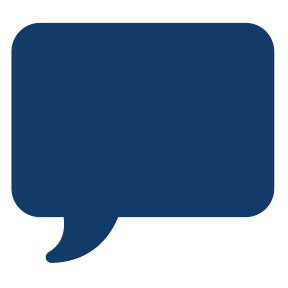 of the left coronary artery with branching to the ramus diagonalis as well as a bypass to the ramus circumflexus of the left coronary artery. 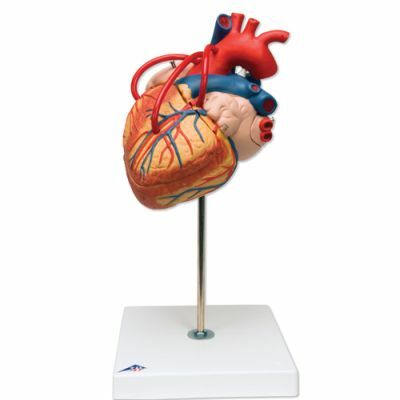 Heart on removable stand.